A wedding dress code? Really? Have you ever heard about a dress code at a wedding? Does anyone need a wedding dress code? But in fact, depending on your beach wedding theme , you can organize one and hopefully, no one will suffer from that thing. 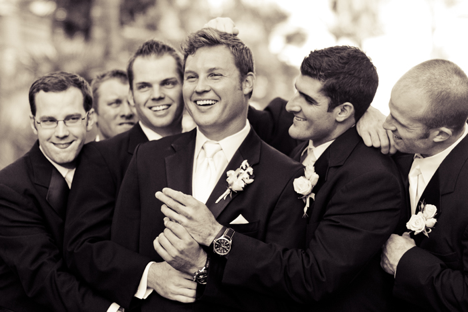 For example you have a really sophisticated theme and your wedding venue requires gentlemen to wear jackets or smoking. Can you imagine how embarrassing it can be for a man to appear in a costume with shirt and even a tie but without a jacket, he can be even told to leave the party! But actually, leaving all jokes apart, you must admit that it would be much better to add a small notice like “jackets required” or “formal attire” in the invitation card. Surely, some other weddings may really need stated dress codes in order to make the guests feel really comfortable. When you are going to make a beach wedding, your guests can really appreciate your forewarning about the ceremony taking place on the sand and so they can leave their high heels and glamorous evening dresses at home. So, you better print the words “casual attire” on your invitation card, so people could dress up really comfortably. Maybe, it will be really nice for a bride to think about the comfort of her beloved guests, still if you exclude the notation “Black tie” from the invitation card, it can be really bad way to handle the entire situation. Maybe, for your family and friends it would be way not outrageous to dress formally, so just go ahead and ask for a black tie attire if that is what you really want. Moreover, your female wedding guests may really like that special chance to appear at your wedding in their best dresses and combine them with some stylish crystal jewelry. In fact, the dress code “Black tie optional” has recently become and still becoming widely used on many wedding invitations. And if you really wish your wedding to be extremely stylish and sophisticated, then sue it also at your feast. Maybe, your wedding will seem a bit boring and strange, but it will be definitely not alike to anyone else’s. Any funny wedding dress code stories to share?